We proudly introduce the new machine – Odrex Double TFT. Applying high technologies, impeccable quality and elegant style, which are the main principles of Odrex, were fully realised in this machine. 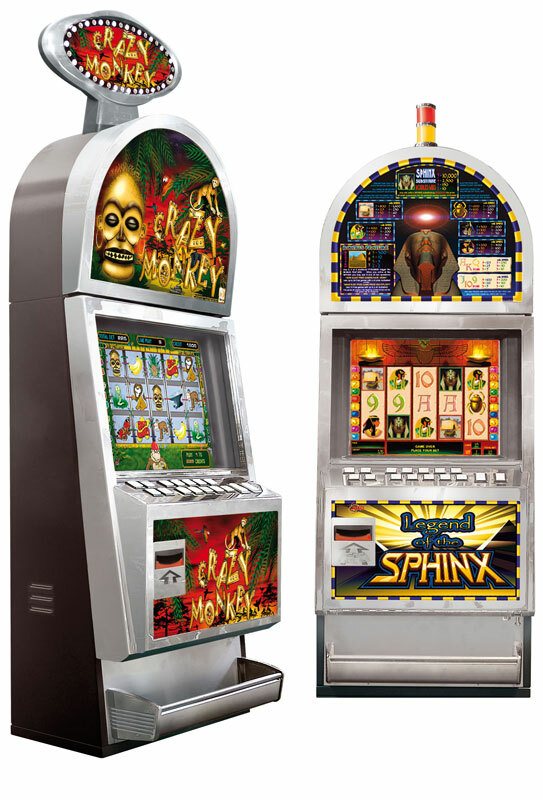 The original look of the cabinet was specially designed for the convenience of players and operators: game interfaces are displayed on two wide view angle (178?) monitors; 4 speakers located in the top and bottom parts of the cabinet enable the perfect sound; 16 buttons panel significantly simplifies the play; well thought ergonomics and construction ensure the comfortable play and easy maintenance. 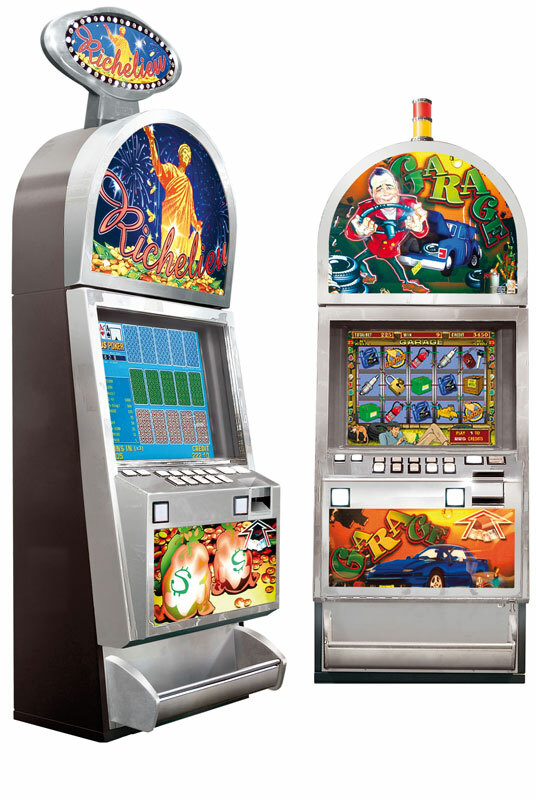 Any games from the wide range of new and popular game programs offered by Odrex can be installed in this cabinet. We are sure that you and your players will like this machine. Eye catching topper with LED flashing will definitely attract players' attention. All machines are completed with reliable and time-proved bill validators. Comfortable and ergonomic location of the gaming process control elements. Elegant and unusual design of the metal cabinet with the chrome plated door. Metal cabinet of the machine has classical design and has the smallest depth (400 mm) among the products made by Odrex. Interfaces of the wide range of new and popular gaming programs from the world leading manufacturers are displayed on high quality 19” TFT monitor with 178° view angle. Well thought ergonomics of Ultra Slim TFT will make the game more comfortable for the player. Possibility to install topper for attracting more attention (option). All machines are completed with reliable and time-proved bill validators. Comfortable and ergonomic location of the gaming process control elements. Minimum depth of the machine makes it especially attractive for the gaming halls with the limited space. Metal cabinet of the machine has classical design and has the little depth (410 mm). Interfaces of the wide range of new and popular gaming programs from the world leading manufacturers are displayed on high quality 19” TFT monitor with 178° view angle. Thanking to stereo speakers fitted all games are acompanied with the excellent sound. Well thought ergonomics of Ultra Slim STFT will make the game more comfortable for the player. Possibility to install topper for attracting more attention (option). All machines are completed with reliable and time-proved bill validators. Comfortable and ergonomic location of the gaming process control elements. Small depth of the machine (410mm) makes it attractive for gaming halls with limited space. The zest of the image of this machine as well as of the construction from technical standpoint is the chrome plated door made by injection technology which adds distinctive look to the design and optimizes the assembly and maintenance of the machine. Among the other features the following should be mentioned: well positioned stereo speakers providing the excellent stereo sound; 15 buttons panel adding comfort level to play; high quality 19” TFT monitor with wide view angle (178°). All machines are completed with reliable and time-proved bill validators. Possibility to install topper for attracting more attention (option). Stylish and singular design of metal cabinet with chrome plated front. Comfortable and ergonomic location of the gaming process control elements. 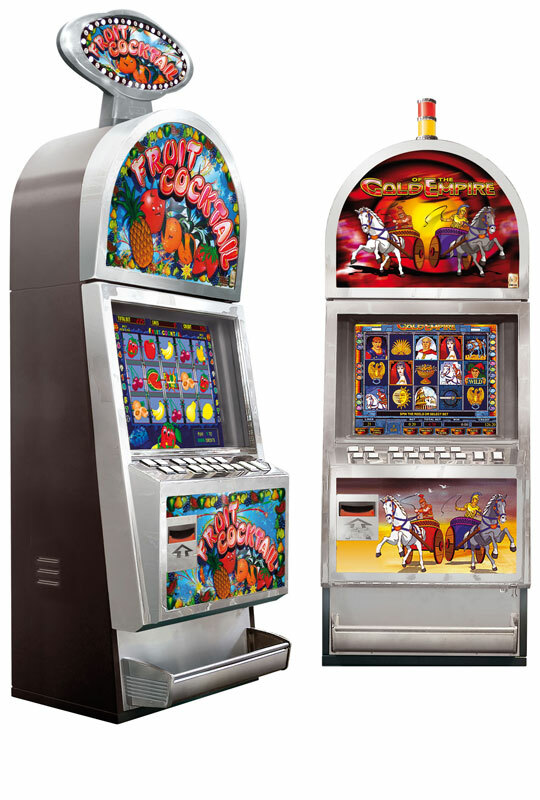 Legendary machine with excellent reputation, produced by Odrex, has the metal cabinet of classic design. 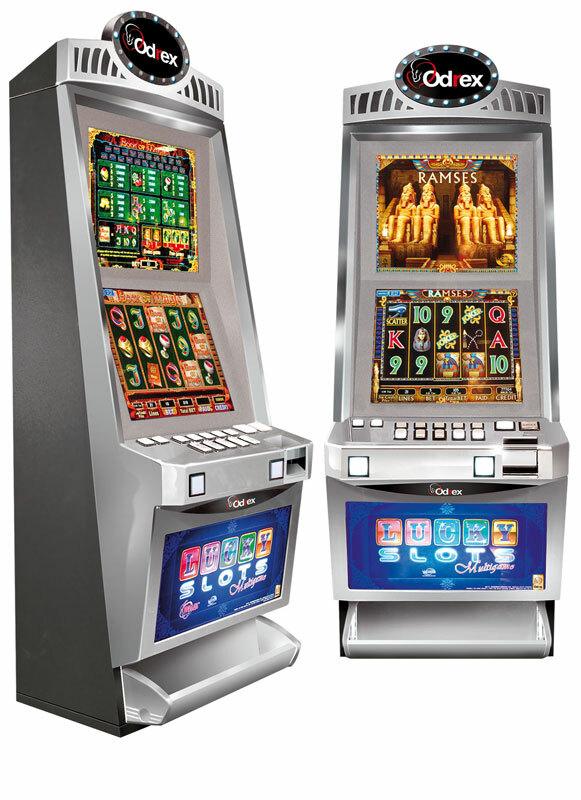 The successful combination of the best quality, high reliability, easy maintenance and attractive price allows this machine remain the best seller in the gaming market of Ukraine/CIS. Interfaces of the popular and new games developed by the world leading producers are displayed on high spec 19” CRT monitor. 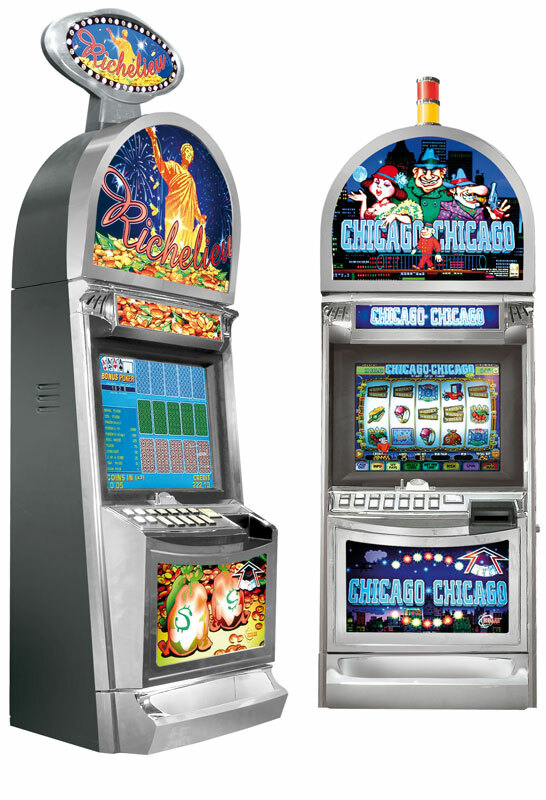 Well though ergonomics will make gambling comfortable for your customers. Possibility to install topper for attracting more attention (option). All machines are completed with reliable and time-proved bill validators. Comfortable and ergonomic location of the gaming process control elements. Legendary classic design Round Top. 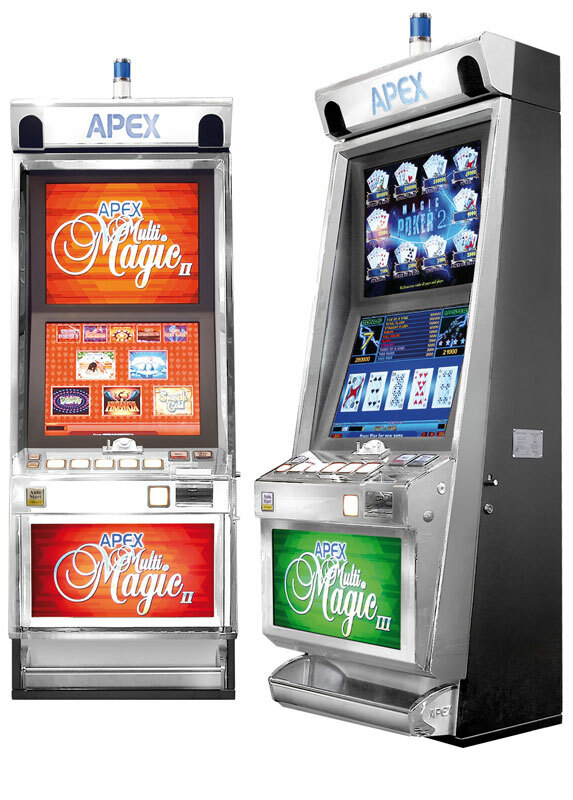 The machine made by one of the leading world manufacturers “Apex Gaming” has the metal build-up design cabinet with the chrome plated panels. The gaming machine is completed with two high quality 19” TFT monitors with 178° view angle. Touchscreen function provides the easy control of the game. Original popular games of “Apex” production. All machines are completed with reliable and time-proved bill validators. Metal cabinet with the chrome plated panels. © 2017 - 2019 by Odrex Ltd. All rights reserved.